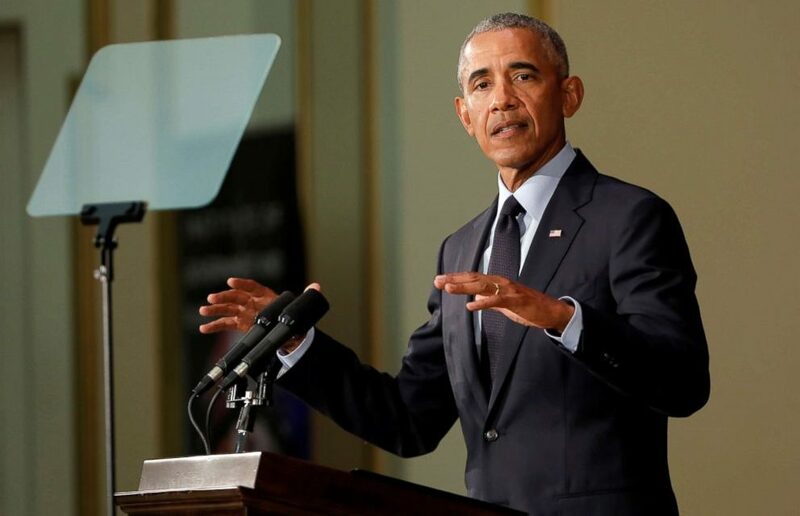 Former President Barack Obama adds to Donald Trump’s turbulent week, in a speech warning of the “threat to our democracy” and the “politics of fear and resentment”. Obama and former President George W. Bush have implicitly criticized Trump before, over the division and erosion of democracy caused by their successor’s approach and behavior. They brought out some of the themes in their eulogies for Senator John McCain — whom Trump insulted regularly — last weekend. But Obama’s speech on Friday at the University of Illinois went even farther, calling out Trump by name for the first time. I don’t mean to pretend I’m channeling Abraham Lincoln now, but that’s not what he had in mind, I think, when he helped form the Republican Party. It’s not conservative. It sure isn’t normal. It’s radical. It’s a vision that says the protection of our power and those who back us is all that matters even when it hurts the country. 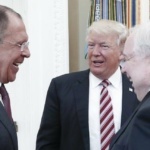 Meanwhile, Trump fumed over this week’s revelations from inside his Administration, claiming disfunction and a failure of leadership through incompetence, instability, and “amorality”. Having threatened a revision of libel laws over Bob Woodward’s forthcoming book fear, he railed against the “senior Administration official” who wrote in The New York Times of a “Quiet Resistance” of dozens of colleagues to contain and even block Trump’s actions. The claim that everything will turn out O.K. because there are people inside the White House who secretly aren’t following the president’s orders, this is not a check [on Trump]. Donald Trump says he is ready to shut down the Federal Government by the end of September if he doesn’t get funding for his Wall with Mexico. Trump also cited the backing of conservative polemicists Sean Hannity, Rush Limbaugh, and Mark Levin. Trump has threatened to close the Government since he took office, tweeting in May 2017, “Our country needs a ‘good shutdown’.” In January, the Administration and GOP allies in Congress, trying to force a capitulation on the estimated $25 billion for The Wall and other anti-immigration measures, shut down operations for almost three days. Senator Majority Leader Mitch McConnell and House Speaker Paul Ryan tried to deter Trump this week with props and flattery. Ryan showed glossy photos of a wall under construction along the US-Mexico border. McConnell brought an article from the Washington Examiner that described Trump as brilliant in handling the current budget process, with the GOP unified and breaking through years of dysfunction. The two leaders asked Trump to put off a fight over The Wall until after November’s elections, promising then to try and obtain the outcome he wants. Trump wants $5 billion for 2019, which few lawmakers believe is obtainable. Trump added confusion on Friday by saying he could try to redirect the funds from the Pentagon’s budget, a proposal blocked before by the military.